Gilad Shalit, who was kidnapped five years ago and held by Hamas terrorists until today, is finally free. This morning, Israel time, he was escorted back to Israel by Egyptian mediators. After meeting with the Israeli Defense Force IDF and Prime Minister Benjamin Netanyahu he has been reunited with his mom, dad, and family. 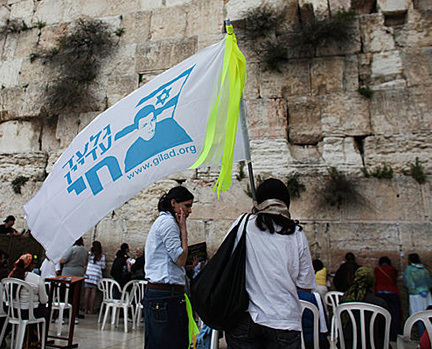 Jews and non-Jews around the world have prayed for Shalit's safe return eversince he was captured in June 2006. Finally, our prayers have been answered and Shalit is safe on Israel soil. Below is the short video of Gilad boarding the helicopter prior to safely returning to Israel earlier today.